Of the many baller moves a person might make in the high-rolling world of New York real estate, there is perhaps none more baller than buying a home just for the parking space. In a city where less than half of households own cars, having your own personal vehicle is already a luxury. Dropping several million dollars on a more convenient place to keep it? Well that, some might say (as they circle their block for the umpteenth time looking for a spot), is approaching downright decadent. But if you’ve got the cash, and the car, why not? Corcoran broker Deborah Rieders recently helped a client in Carroll Gardens buy a second brownstone for parking purposes. A few years prior she negotiated a similar deal wherein a townhome-dwelling client added a nearby carriage house to their portfolio. “There really aren’t that many garages in brownstone Brooklyn, and they’re usually quite a hike,” she said. “So if someone wants to have a very conveniently located spot and the house two doors down has a spot, they are going to be inclined to buy it. “It’s obviously a very expensive parking space since you’re spending millions of dollars on a townhouse,” Rieders allowed. Then again, no one’s going broke these days investing in Brooklyn brownstones. “You can rent it out, and it’s easy to manage because it’s right nearby,” she said. 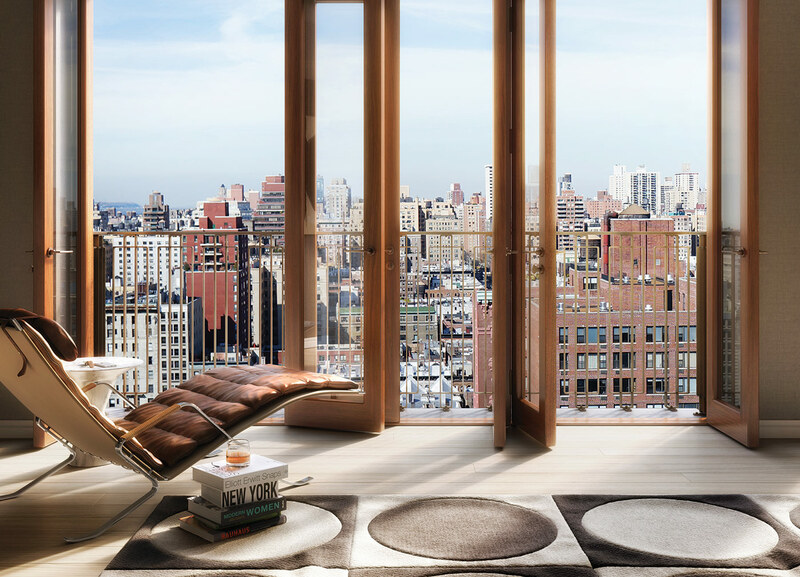 Convenience is perhaps the ultimate New York luxury. Provided they save their pennies, even a lowly journalist can afford the rare splurge at, say, Eleven Madison Park, or a few weekends of a summer share in the Hamptons. But to live a life wholly unperturbed by the city’s teeming masses? Now that takes serious money. A private parking space is but one piece of this puzzle but an essential one. What, after all, says wealth and privilege more than the ability to go from your apartment to your car to your country house without ever feeling the dirty sidewalk upon your feet? A case in point: According Douglas Elliman’s Michael Graves, the $53 million sale of One57’s 80th-floor condo nearly fell apart over parking issues. His client began looking at the unit during the early phases of development before the building’s parking plans were fleshed out. “We had reached a certain point in our negotiations where parking became extremely important, and there was a period of time where it wasn’t clear to us how the parking was going to work, where it was physically going to be and what would be available,” he said. The deal was put on pause until it became clear that deeded spots would be available at an offsite facility, assuaging the buyer’s concerns. “For a celebrity or someone for whom privacy is incredibly important, to be able to pull into a garage and a parking space in your own building and not have to step outside to get into your home is a big factor,” said Douglas Elliman’s Andrew Anderson. There’s something of an arms race afoot in this regard, with high-tech automated parking systems popping up in developments around the city. Take, for instance, World Wide Group and Rose Associates 252 East 57th condo building where, said BOND New York’s Daniel Bollinger: The parking system uses RFID tagging to recognize residents as they enter the garage, then guides them into their bay via a series of video screens, then takes a picture of their car to establish its condition before whisking it off to its spot. At the Renzo Piano-designed 565 Broome, the automated parking system uses a turntable to spin the car around so owners can drive forward both into and out of their spots. Likewise at 325 Henry Street in Cobble Hill. No calling the garage a half hour ahead of time? No chitchatting with the attendant about the Mets? No sweet flush of victory after squeezing into a spot any reasonable observer would have sworn was half-a-length too small? There’s a place for souls too timid to partake of the solemn rites of city parking. It’s called Westchester. The people want what they want, though. And they’re apparently willing to pay for it. In recent years, buildings like 66 East 11th Street and 42 Crosby made waves by selling spots for $1 million apiece. Jonathan Miller, head of appraisal firm Miller Samuel, said such prices are more marketing gimmicks than serious offers (according to Miller, the average price of a Manhattan garage parking space in 2016 was $191,025; for a lot, it was $82,678). But, said Elliman’s Anderson, it’s not unusual for spaces in new Manhattan buildings to sell in the $400,000 to $700,000 range. Even at prices like that, the spaces themselves are often little better than a breakeven proposition for developers, Naftali Group CEO Miki Naftali told the Observer. He plans to include seven parking spaces for residents at his Upper West Side condo development 210 West 77th. Rieders was less circumspect. “There’s a huge value added. In terms of overall price per square foot, you can look at adding at least an extra $200 to $300,” she said, speaking of the Brooklyn brownstone market. Even with that sort of demand, there are deals to be had. Citi Habitats’ agent David Balk recently helped a client snag a spot at a Williamsburg condo for $30,000—$70,000 off the developer’s initial ask of $100,000. On the other hand, he noted, $30,000 was a bargain given the neighborhood’s typical going rate of around $50,000.